Finally! The foxes are done! I think they are really cute, but that could be the model…. A very serious dancing fox. 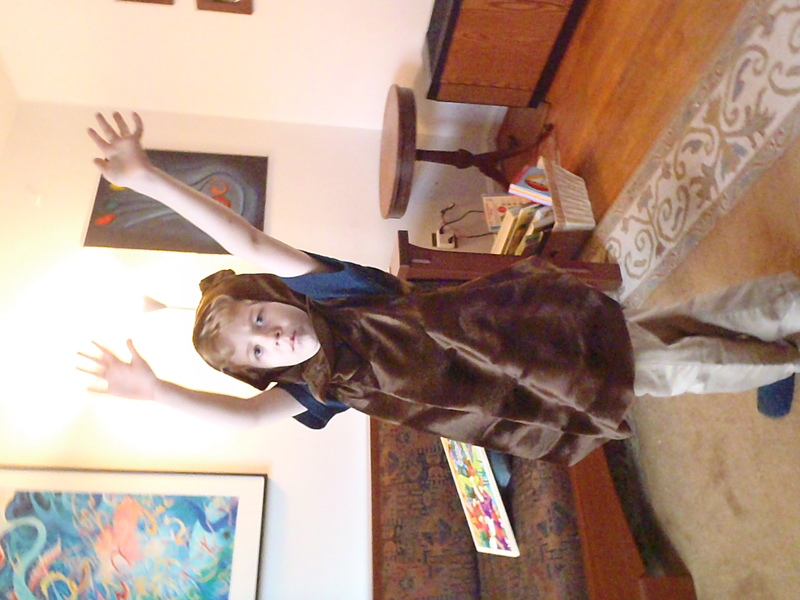 The fabric that I used was a brown faux fur with a nap that was woven to create a wave. I think it makes them look sleek. Okay. I love the tail. Love. Love. Love. 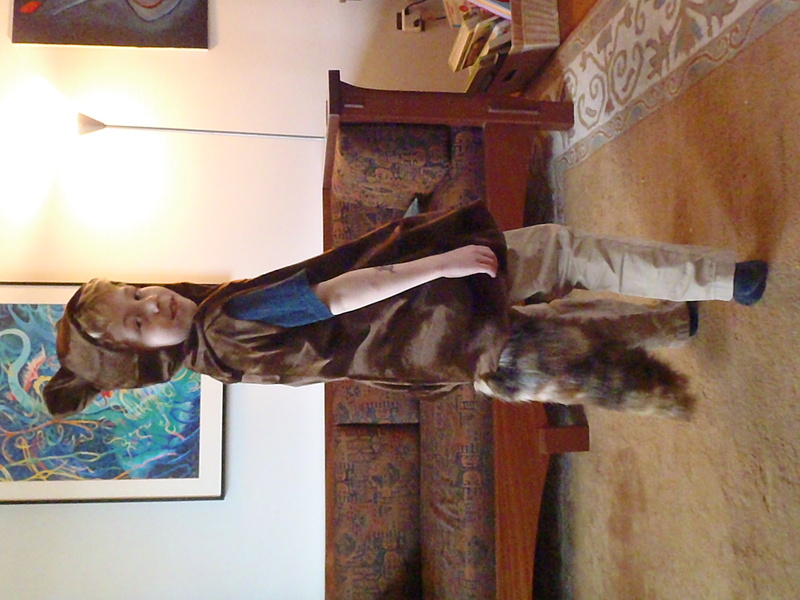 It’s a long-haired faux fur that has a mottled appearance. 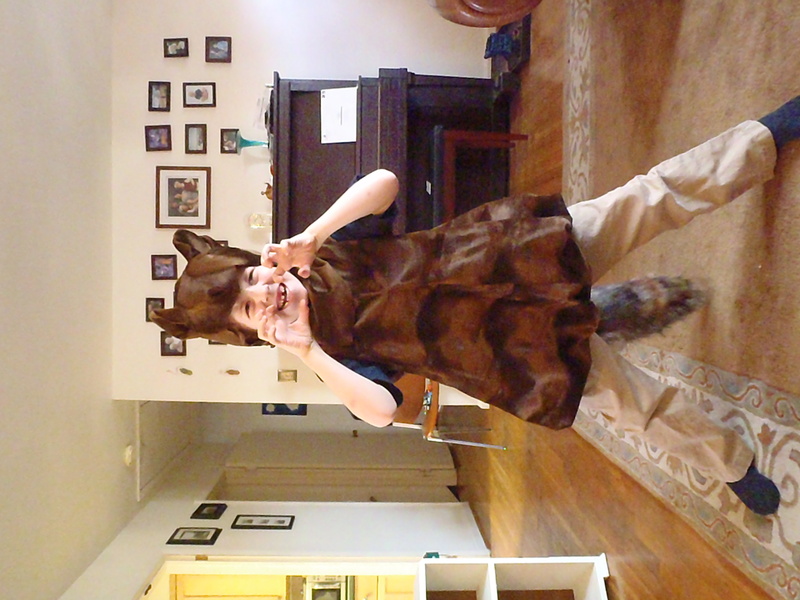 It is lightly stuffed with fiber-fill and then sewn into the back seam of the tunic. The fabric was really hard on my machine and I ended up having to sew it into the tunic by hand – something I normally try very hard to avoid. A word about the ears. These have no interfacing and no pleating. They are folded at the edge and clam-shelled open inside and sewn. I didn’t pleat them because (a) I was afraid they would look too much like hair pig ears and (b) because all the photos I saw of fox ears showed they have a large base and are very open. I guess to hear those sneaky bunnies. These ears aren’t quite as perky as I want them to be, but they do sit up and away from the head. 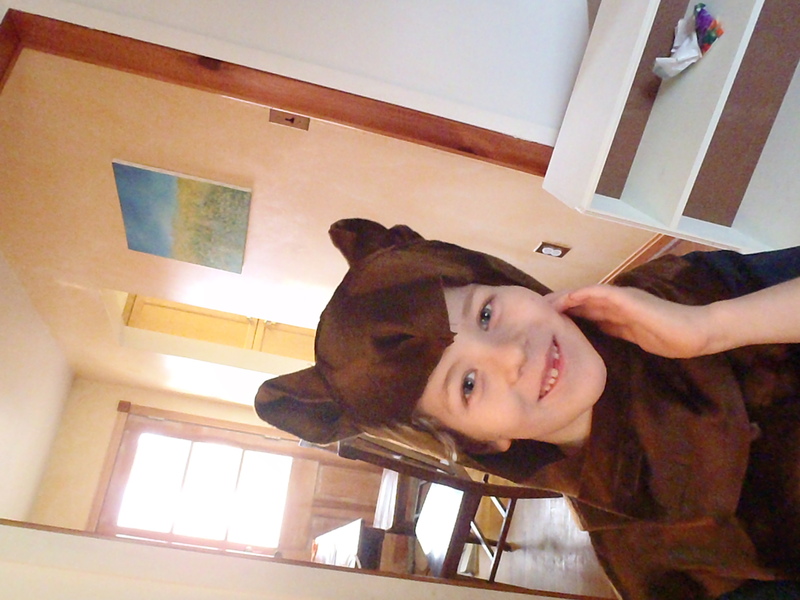 The scary hunting fox is going to get you! I’m in the middle of cutting the rabbit tunics out of their Very Special fabric. Stay tuned for those pictures…. Bunnies! Bunnies! It Must Be BUNNIES!! !